My father loved to tell this story: One of his classmates while he attended the University of Pennsylvania School of Dental Medicine was named Robert Schattner. Several years after they graduated, he went on to invent the over-the-counter sore throat lozenge and spray called Chloraseptic. This remedy has been on the market for decades ever since then. Thereafter he left the practice of dentistry and went on became a successful businessman and philanthropist. He also contributed for the construction of a new building for the U Penn dental school named the Robert Schattner Center. A brief summary of his invention and contributions can be found in an article entitled Capital Buzz: Chloraseptic Inventor Offers Remedy for School, by Thomas Heath, which appeared in The Washington Post on October 23, 2011. This is a classic example of how inventors find their ideas and inspiration. There are many other circumstances, methodologies, environments, personality traits, events, technologies and chances occurrences that can also precipitate new inventions. All of them are expertly explained and explored in Inventology: How We Dream Up Things That Change the World (Eamon Dolan/Houghton Mifflin Harcourt, 2016), by Pagan Kennedy. The book’s five sections distinctly map out the steps in the inception and realization of things so entirely new. In doing so, the author transports the reader to center of this creative process. She deftly uses highly engaging stories, exposition and analyses to illuminate the resourcefulness and persistence of inventors leading to their breakthroughs. Some of these tales may be familiar but they are skillfully recounted and placed into new contexts. For example, in 1968, an engineer and inventor named Douglas Englebart demonstrated a working computer for the first time with a heretofore unseen “mouse” and “graphical user interface”. (This story has gone on to become a tech legend known as The Mother of All Demos.) Others are presented who are less well-known but brought to life in highly compelling narratives. Together they provide valuable new lessons on the incubation of inventions along a wide spectrum ranging from sippy cups and water toys to mobile phones and medical devices. The author has seemingly devised a meta-invention of her own: A refreshingly new perspective on reporting the who, what, where and why of inventors, their creations and their wills to succeed. It is a richly detailed schematic of how a creative mind can conceive and execute an original idea for a new widget and, moreover, articulate the need for it and the problem it solves. Among other methods, Ms. Pagan covers the practice of conducting thought experiments on new concepts that may or may not lend themselves to actual experimentation in the real world. This process was made well-known by Einstein’s efforts to visualize certain problems in physics that led him to his monumental achievements. I suggest trying a thought experiment here to imagine the range of the potential areas of applications for Inventology to evaluate, in an age of countless startups and rapid scientific and technological advancements, all of the populations, challenges and companies it might benefit. Indeed, this book could readily inspire nearly anyone so inclined to pick up a pencil or soldering iron in order to launch the realization of their own proverbial better mousetrap. Within all of the lively content packed into this book, the struggles and legacy of a previously little known and tragically persecuted figure who learned to harness and teach the inventive process, springs right off the pages. He was a fascinating figure named Genrich Altshuller who worked as an engineer, writer and inventor in Russia. His most important contribution to the science of invention was the development of the Theory of Inventive Problem Solving (better known by its Russian acronym of “TRIZ”). This is a comprehensive system for analyzing and implementing inventive solutions to problems of nearly every imaginable type and scale. Altschuller was willing to share this and instruct anyone who was willing to participate in studying TRIZ. It is still widely used across the modern world. The author masterfully breaks down and clearly explains its essential components. The true gem in the entire book is how Altshuller, while imprisoned in a brutal jail in Stalinist Russia, used only his mind to devise an ingenious solution to outwit his relentless interrogators. No spoilers here, but it is an emotional triumph that captures the heart and spirit of this remarkable man. Altshuller’s life and influence in generating thousands of inventions reads as though it might make for a dramatic biopic. Also threaded and detailed throughout the book are the current bounty of easily accessible technological tools available to inventors. First, the web holds a virtual quantum of nearly limitless data that can be researched, processed, shared, crowdsourced (on sites such as InnoCentive) and crowdfunded (on sites such as Kickstarter and Indigogo), in search of medical advances, among many other fields.¹ Second, 3D printing² can be used to quickly and inexpensively fabricate and work on enhancing prototypes of inventions. As a result of this surfeit of resources, the lengthy timelines and prohibitive cost curves that previously discouraged and delayed inventors have now been significantly reduced. I live in a neighborhood where it is nearly impossible to park a car. An open parking space has a half-life on the street of about .000001 nano-seconds before it is taken. This situation often reminds me of a suggestion my father also made to me when I was very young. He told me that if I really wanted to solve an important problem when I grew up, I should try to invent a car that, at the press of a button, would fold up into the size and shape of a briefcase that could be easily carried away. At the time, I thought it was impossible and immediately put the, well, brakes on this idea. Nonetheless, as Inventology expressly and persuasively makes its own brief case, true inventors see impossibility as merely a temporary condition that, with enough imagination and determination, can be overcome. For budding Edisons and creative problem solvers everywhere, this book adds a whole new meaning to the imperative that nothing is truly impossible if you try hard enough and long enough to solve it. This indefatigable spirit permeates all 223 pages of this wonderfully enjoyable, inspirational and informative book. Inventing your own reason to read it should be easy. For a dozen very timely examples of inventors and their inventions further typifying much of the content and spirit of Inventology, I highly recommend reading a new feature and viewing its accompanying video posted on Quartz.com on April 26, 2016, entitled These Top Twelve Inventions Could One Day Change the World, by Mike Murphy. It covers the finalists in the 2016 European Inventors Award competition currently being run by the European Patent Office. 1. For example, last week’s Only Human podcast on NPR included a report on how a woman with Type 1 (T1) diabetes, along with the assistance of her husband, had hacked together an artificial pancreas (called a “closed loop” system), and then shared the technical specs online with other T1s in the Seattle area. I highly recommend listening to this podcast entitled The Robot Vacuum Ate My Pancreas in its entirety. 2. 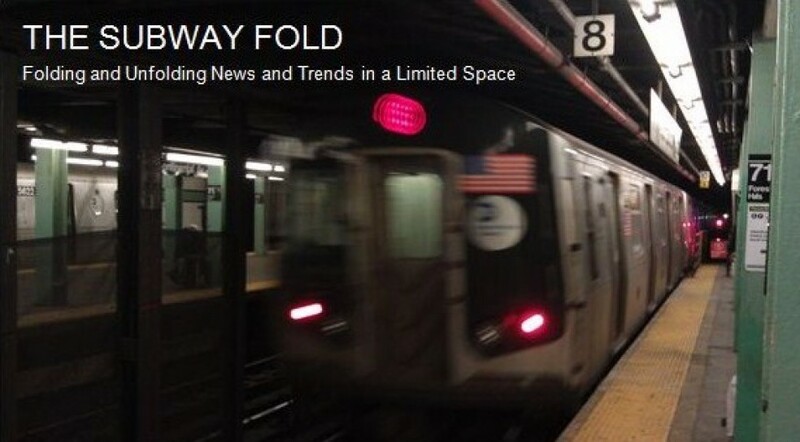 See also these six Subway Fold posts for a sampling of other trends and developments in 3D printing.